For more privacy with a chain-link fence, slats can be used to create a privacy screen. 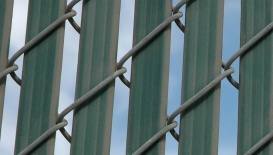 Slats are inserts designed for chain-link fencing. They can be inserted or come pre-inserted. The slats come in a variety of colors to coordinate with the existing surroundings. 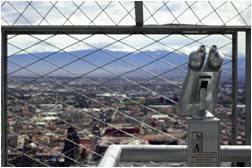 Chain-link is a multipurpose fence, used for industrial, commercial, and residential purposes. It is economical and comes in a variety of heights, grades, and vinyl color-coated colors. The metallic-coated chain-link fence remains the most efficient and reasonably priced fencing barricade in the market today. It is the number one selling fence system in the world! Known for its strength and sturdiness, Chain-link fence provides the most cost-effective way to protect children, to control pets, and to shield commercial property and assets. In residential settings, chain-link is a very practical means of providing improved safety and security. It offers a balance between aesthetics and security. This economical, long-lasting fence system has proven efficiency in meeting the safety needs of the owners of residential and commercial properties. 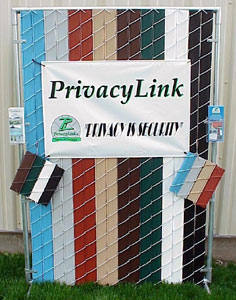 A privacy screen could be provided with the chain-link fence when desired. For that purpose, we use specifically designed inserts - slats - that work as a seclusion screen. The slats come in a variety of colors to coordinate with the existing surroundings and could be inserted or pre-inserted. Today's chain-link fence is built for consumers who expect a long-lasting fence for over 10 to 15 years. To meet their expectations, the industry has established higher quality standards and improved its manufacturing processes. 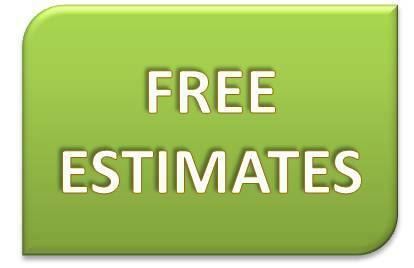 Most chain-link can be expected to maintain structural integrity well beyond the warranty coverage!